← Inspection of Water Works (with Lunch in the Marquee). Patrick Anthony Turner was born on October 14th, 1922 in the Royal Alexandra Hospital, Rhyl. He was the son of Thomas Turner (licensed victualler of the Foryd Harbour Hotel) and Norah, nee Phillips. He died on February 24th, 1944 when the plane, in which he was flying his first operational sortie, was shot down over the village of Marly, Moselle, France. 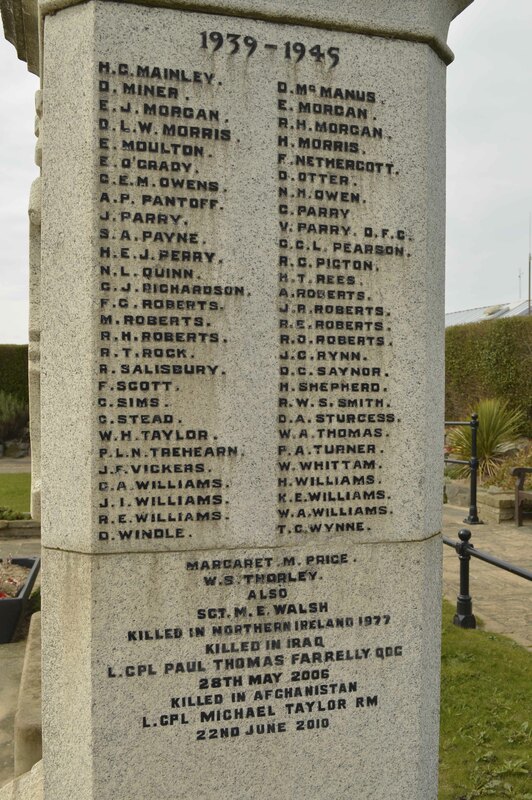 He is remembered on our War Memorial here in Rhyl and also in Towyn and Abergele. Part of the War Memorial at the Garden of Remembrance, Rhyl. 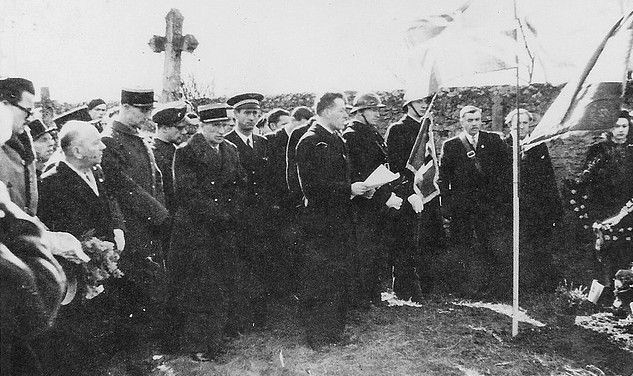 A historian from Marly has written to Rhyl History Club to ask whether anyone has any information about Sgt. Turner. He would particularly like a photograph of him. 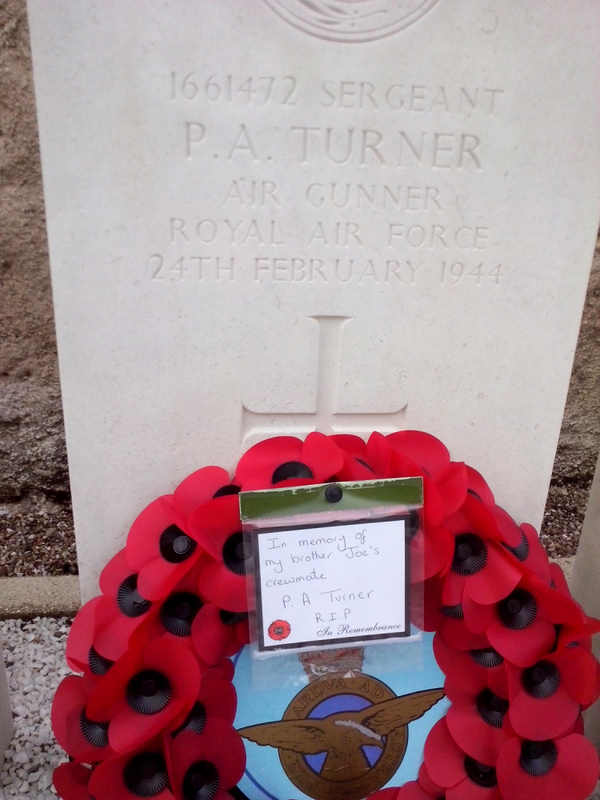 TURNER Patrick Anthony, Sergeant Mid-upper gunner, 1661472, Royal Airforce Volunteer Reserve (100 Sqdn.) and four of his fellow crew members are buried in Marly, and are not forgotten. The graves of the five airmen in Marly Cemetery: Bomb Aimer 1233182 Flt/Sgt John Carter GRINDROD, Rear Gunner 1351107 Sgt Maurice Herbert MESSENGER, Wireless Operator 1294908 Sgt Joseph Henry SULLIVAN, Mid-upper gunner, 1661472 Sgt. Patrick Anthony TURNER, Pilot 133632 F/O Vernon Llewelyn Bowen JONES. 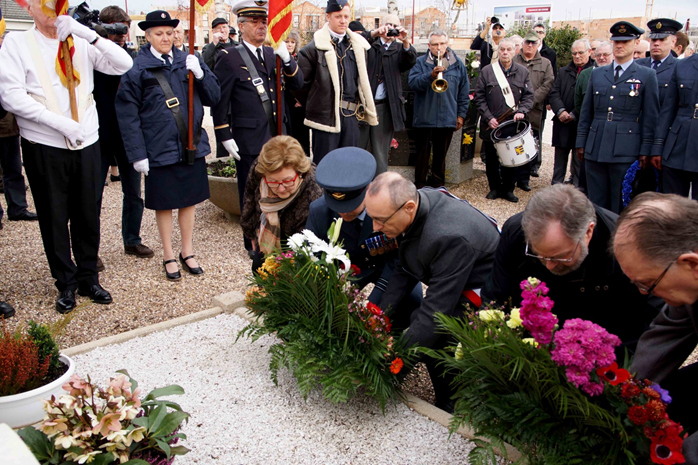 The village of Marly came very close to being destroyed on the evening of February 24th, 1944. Early warning sirens woke the villagers at about 9.20pm, they heard aircraft engines getting closer and closer. At the same time anti-aircraft spotlights searched the sky and German anti-aircraft guns were heard. 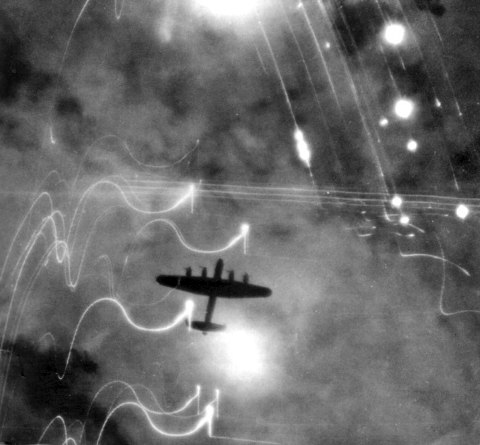 Then a red light illuminated the sky and a burning plane, losing altitude quickly, was headed straight for the village. considered as those who helped bring us our freedom. their loss at a grave in their local cemeteries. And to you their parents from across the channel who are mourning their deaths can today stop worrying about their fate. liberation of our beloved Lorraine. flying, that our fervor towards them remains undiminished even today. shed our tears and shed tears for you their parents as well. France has returned to Marly. 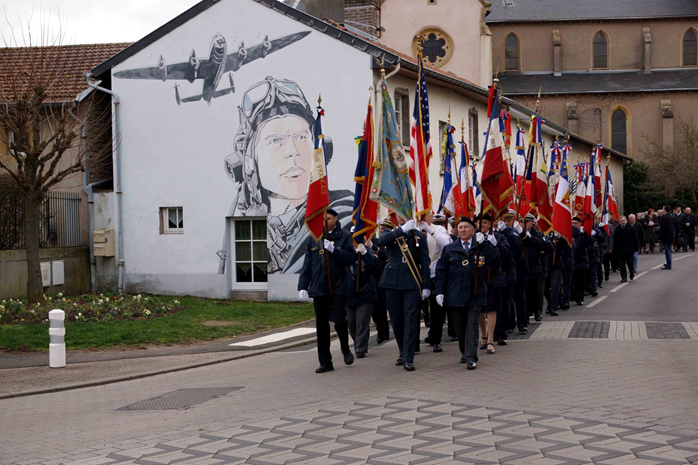 Below are recent photographs from Marly, showing that seventy years on, the allied airmen are still remembered and honoured. 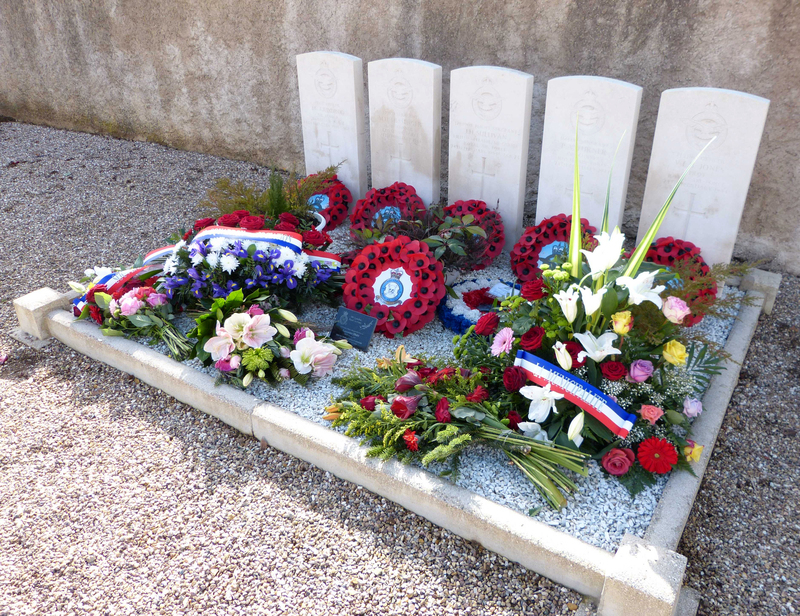 The five airmen rest in peace in the old village cemetery in Marly where their graves are well cared for and adorned with flowers all year round.